"BEYOND 9/11: PORTRAITS OF RESILIENCE"
As the progress of urbanization in China is speeding up, there are 250 million young Chinese peasant and farmers moving to cities working as low-income labors, leaving 20 million old people and 58 million Children behind at the undeveloped rural areas. In order to making living, these peasant families are separated into several parts and cannot see each other for months and years. Some people can only see their kids and old parents once every 2 years because of income constraint and long-distance.This condition triggers lots of problems including the old and the children’s human rights, medical care, education and mental health etc. 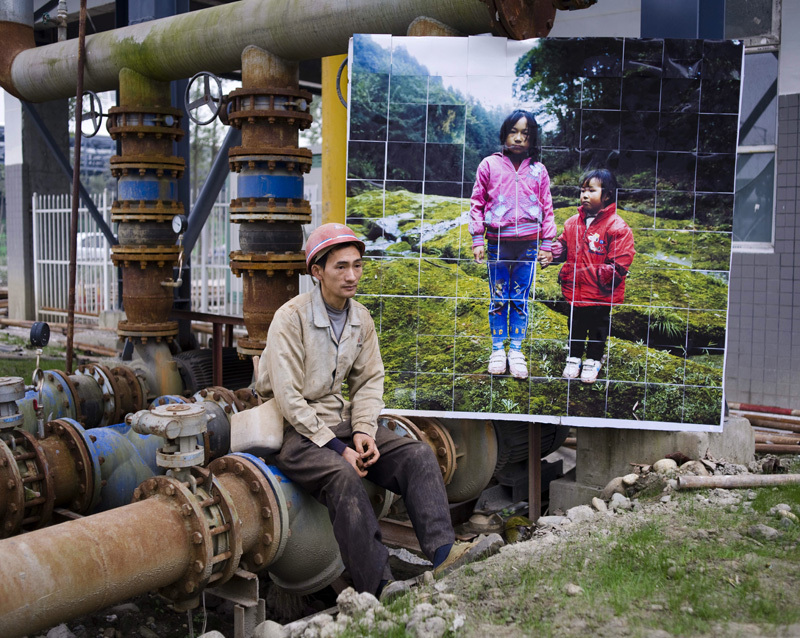 Peasant worker Hou Keming who serves as low-income labor in Chengdu city of China sits beside an image of his daughters being left behind at the undeveloped rural area in Sichuan province in China, Dec 06, 2011.